RNP main initiative dedicated to the mobility issue, eduroam (education roaming) is a service developed for the international education and research community that offers wireless internet access without the need of multiple logins and passwords, in a safe, fast and simple way. Launched in Brazil in 2012, it has wide international coverage and gathers institutions of over 90 countries, uniting many users to exchange experiences and knowledge. Through a high-speed Wi-Fi network, students, researchers, teachers and other employees of the registered institutions may connect to the internet inside their campi and in any location of the world provided there are access points. They need to have the eduroam configured on their computer, cellphone or tablet to detect the wireless network automatically, ensuring convenience and a high quality experience to the user. See here the eduroam map in the world. The basic principle behind eduroam is the user authentication, made by its home institution (identification/authentication provider), and the authorization for the wireless network resources use, given by the visited institution (access provider). In addition to secure authentication, the service has as benefits its integration to the Federated Academic Community (Comunidade Acadêmica Federada - CAFe). To request the eduroam membership, the institution must be a Federated Academic Community (Comunidade Acadêmica Federada - CAFe) identity provider and has a Wi-Fi network infrastructure, complying with the minimum requirements criteria. The membership process has the following steps: sending formal document, with the designation of the identity provider to atendimento@eduroam.org.br, accordance with the Use Policy and the Term of Membership signing. University of Vale do Taquari (Univates). It is a secure access service that allows users of participant education and research institutions (researchers, teachers, students, employees) to access the internet from any one of them using wireless devices. You are entitled to use eduroam if you are connected to an education and research institution that is an identity provider and that supplies the authentication service, in other words, that can confirm that your electronic identification, comprised by the access account and the password, is correct. As a user, you must have an access account in your home institution. You must perform the access setting of on mobile devices, such as notebooks, tablets and cellphones, following the network administration instructions of your institution. The price to be charged for the membership of this service and its use, as well as any discounts and exemptions, will be released on the service page. 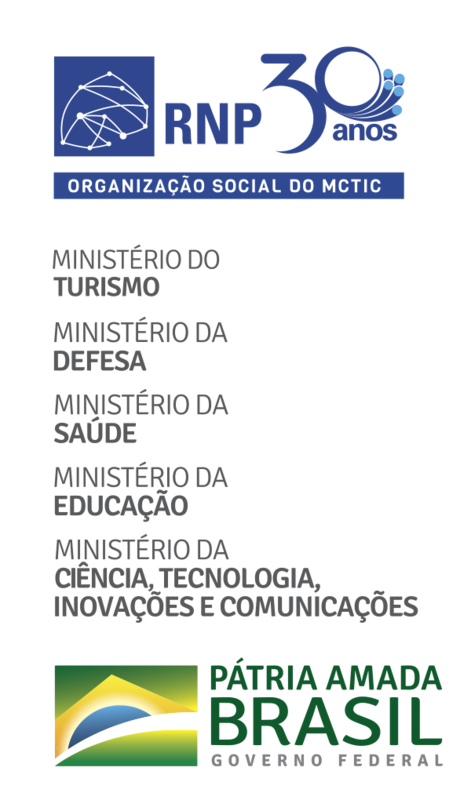 In the Brazilian participating institutions listed above. In addition, eduroam is a worldwide initiative, present in over 60 organizations spread throughout the world. When visiting a participant institution, your wireless equipment, if properly configured on its home institution, will sign-in to the “eduroam” wireless network in an automatic manner. The identification and network configuration are the same worldwide and authentication parameters on the network are defined by their home institution. This means that if you set up your device and used it in an institution, it should work with the same configuration anywhere. Does eduroam use a captive portal or another access method? The authentication on eduroam happens only through methods considered safe. There is no public access eduroam network. Every eduroam network uses WPA encryption or, preferably, WPA2. The authentication always happens through the IEEE 802.1X (WPA/WPA2 Enterprise) standard. Within the universal access concept, the use of access gates would introduce the problem of using different languages ​​and screen formats. Additionally, portals and other authentication forms do not provide security and allow the fake sites creation, which may allow the capture of accounts and passwords. Is it safe to use eduroam outside of my institution? The service is based on the safest encryption and authentication standards currently existing. Its safety exceeds the one available on most Internet cafes and commercial access services. However, nothing prevents a network creation identified as “eduroam” by malicious persons. There is no need to change the “eduroam” settings when using a participant ISP network. If the existing settings in your equipment do not work in a place offering the “eduroam” network, check if that place is on the qualified providers list and notify the network management of your institution on the event, providing the date, time, identification and location of the incident. What can I do when using eduroam? What type of equipment can I connect to eduroam? eduroam uses open standards to provide safe access to the network, which enables that almost every device capable of accessing a wireless network can use the service. Devices with Android (smartphones and tablets), iOS (iPhone, iPad and iPod), Linux (netbooks and notebooks), MAC OS (MAC notebooks) and Windows (netbooks and notebooks) systems may be configured, with more or less easily, to use eduroam, as well as the majority of smartphones with dedicated versions of Microsoft Windows. Smartphones with Symbian, usually used by Nokia and in some Sony Ericsson models, can be configured, but the access is not always successful, even when their security demands are met, such as the use of a safety certificate assured by a recognized Certifying Authority. How do I set my wireless device to access eduroam? The configuration of access to the service varies according to the type of authentication used in your education institution. Probably, the configuration is similar to the one used to access the institutional wireless network, changing only the network name to eduroam and adding to the user identification the domain, like in an e-mail account. For example, if in your institution you are advised to identify yourself as “user” in eduroam, you will authenticate yourself as “user@institution.br”. On the side of this page, there are generic instructions for configuring devices. It is likely that your institution has instructions that are more specific on the website that deals with the local wireless network configuration. I followed the instructions and could not configure my equipment, could you help me? The support provided by RNP includes only the institutional support and not the end users. You should seek this help with your institution’s networks administration. I am the administrator of an education / research institution, how can I join the eduroam service? To offer the service, your institution must be a client institution in the Federated Academic Community (Comunidade Acadêmica Federada - CAFe). Besides the unified user base, your institution must have a RADIUS authentication server, which will receive the authentication requests from the local users. Your institution’s RADIUS server must be part of the national eduroam federation, redirecting the authentication requests of visiting users to the federation server and receiving authentication requests of local users. Providing access to the eduroam network, you must configure your wireless network according to the server specifications. When starting the eduroam joining process, your institution will receive specific instructions to configure the servers and certificates for use in safe connections between the authentication servers. I am an education institution administrator and I am starting to define a central user database. What is the best way to provide authentication in the wireless network? There are many ways to provide authentication in wireless networks using the IEEE 802.1X standard, and there are two most basic ones: CHAP (Challenge-Handshake Authentication Protocol) and PAP (Password Authentication Protocol). Regardless of the form chosen, the protection during the sending of passwords is done by the used EAP method, which is TTLS or PEAP. The storage format in the user database used by CHAP is, usually, a NT hash. The passwords for PAP may be in plain-text format, SHA-1, MD5, etc. CHAP is native to Windows systems and is supported by the Android, Linux, iOS and MAC OS systems. To authenticate via PAP in Windows systems, it is necessary to install a WPA client software (Supplicant WPA). On other operating systems, there is native support for PAP. See the settings of the eduroam clients for each operational system. For more information, contact RNP Service Desk at sd@rnp.br or through the phone (55 61) 3243-4330.